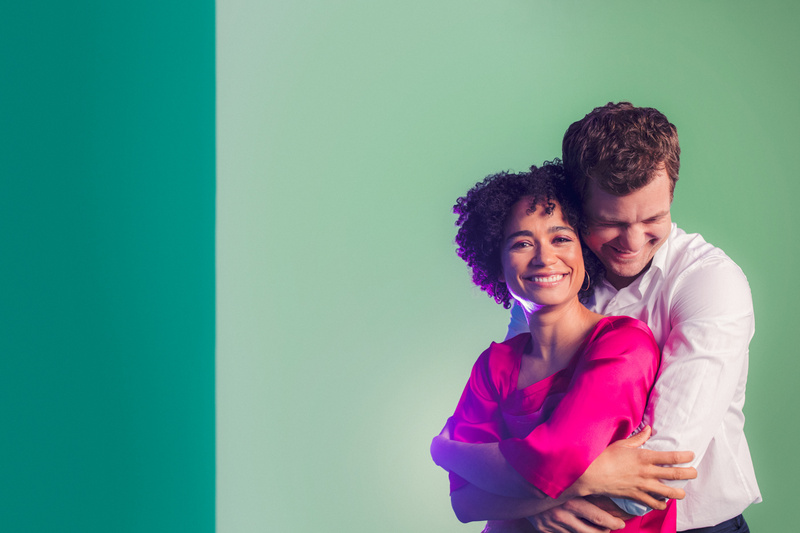 One of the most unusual love stories ever told on stage is headed back to Broadway on March 22 when TV favorite Joshua Jackson (The Affair, Fringe, Dawson’s Creek) and newcomer Lauren Ridloff star in Mark Medoff’s Tony Award-winning drama Children of a Lesser God. Set in the 1970s at a school for the deaf, the play centers on the emotionally wrenching romance between James, a hearing speech teacher, and Sarah, a deaf school custodian who insists on using sign language rather than learning to lip-read or speak aloud. Luckily for Leon, Jackson and Ridloff exuded that indefinable “it” quality from the moment they read the script together for the first time. Ridloff, a former Miss Deaf America, had been teaching Leon sign language, and the savvy director realized at once that her “charisma, confidence, authenticity and presence” would be a perfect match for Jackson’s star power. “There’s a sensuality they have that’s pretty magnetic,” says Leon. Uplifting messages wouldn’t matter very much if Medoff hadn’t succeeded in writing two charismatic lead roles. John Rubinstein and the late Phyllis Frelich won Tonys in 1980 for creating John and Sarah; Marlee Matlin took home the 1987 Best Actress Oscar for the film adaptation opposite Best Actor nominee William Hurt, her partner at the time in a real-life tempestuous romance. “There are a lot of tough issues that are touched on in the play, and we both become raw on that journey,” Ridloff reflects. “Learning another language and another culture brings up all kinds of vulnerabilities, and that leads to exploration and chemistry.” The married mother of two pauses before getting in the last word. “And look, he’s so cute. I mean, it’s easy, right?" Kenny Leon directs the Broadway revival of Mark Medoff's drama.